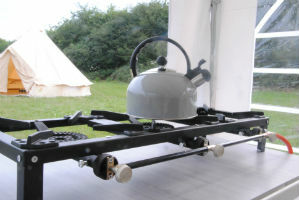 Canvas and Stars with glamping in East Sussex have been named in the Top 30 Places to Stay Under Canvas in the country by The Telegraph. 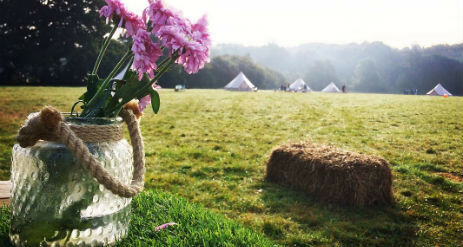 Their Boutique Bell Tent Villages are luxurious and family friendly and situated on small working farms in the beautiful countryside. 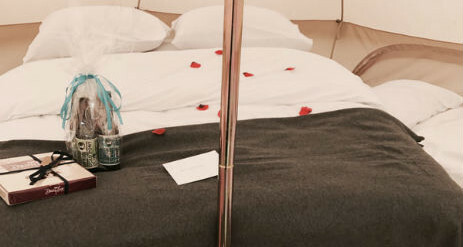 Catch your breath and focus on family in a picturesque and tranquil setting, complete with all the luxuries of a boutique hotel, make you want to pack your bags right now? 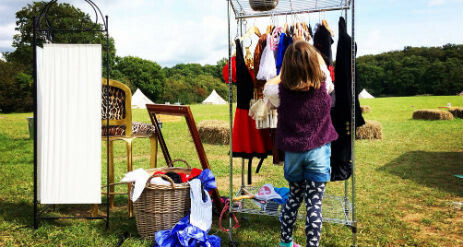 At Canvas and Stars our aim is to connect families, to each other and to nature, and to inspire relaxation and a sense of wellbeing. 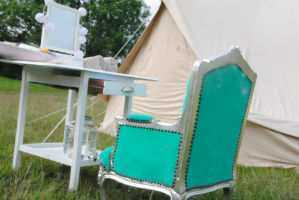 Our glamping adventures can be enjoyed by adults and children of all ages. Located in magnificent meadowland in Uckfield, East Sussex, Hale Farm offers you the opportunity to meet our resident animals while revelling in glorious scenery and amazingly clear skies. 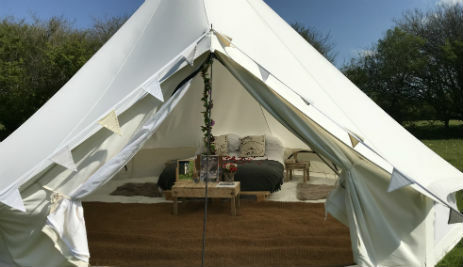 The boutique bell tent village comprises ten 5-metre bell tents, each with their own double bed (plus up to 3 extra beds for children, if required). 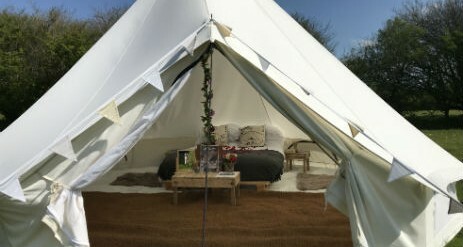 You’ll also find a large communal chill-out tent for all to enjoy that is stocked with family favourite board games, comfy seating and rugs. Electricity is provided by generator between 9am and 6pm. Stroke and feed the farms resident donkeys, ponies, goats, ducks, geese, turkeys, chickens, pigs and sheep. 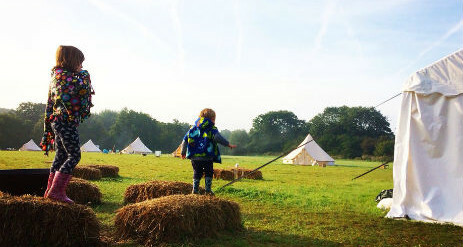 A heaven on earth for children, entry to the farm is free. Hale Farm is open from 9am, with animal feed to purchase at just 20p per bag. On arrival every adult will receive a glass of our special signature drink, Liquid Stardust. A 24k prosecco dusted with rose gold, don’t just reach for the stars, taste them! If you want to relax with a few glasses of your favourite tipple then our piano bar serves a selection of alcoholic and soft drinks on selected nights. 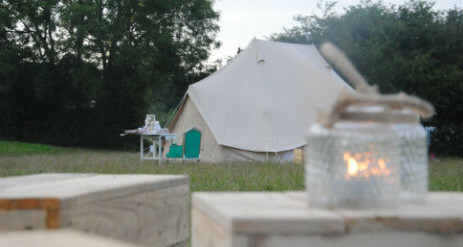 From £145 per night for a fully furnished bell tent. 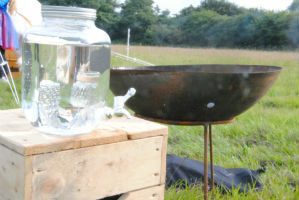 Our exclusive 24k gold S’mores kits (luxury sweetie indulgence!) are available for pre-order.